Since our doors opened in 1986, we have been committed to providing exceptional quality, cutting edge treatment, and an outstanding patient experience. Whether a patient seeks treatment for a sinus issue, an ear infection, or something more complex that requires surgery, our award-winning board certified physicians work with each individual patient to develop the best possible plan. That's just one of the philosophies that Ear, Nose, Throat & Facial Plastic Surgery Associates was founded upon 30 years ago, and still upholds today. Our physicians, audiologists, CMA's, allergy nurse, and the entire ENT staff welcome you to our practice. We are pleased to bring the newest and most effective treatment for symptom relief to our patients. We offer a variety of treatments for ear, nose, and throat conditions as well as sinus management, head and neck surgery, and facial cosmetics. Demonstrating our commitment to advances in medicine, we offer in-office surgery for the treatment of sinusitis, snoring, and the management of obstructive sleep apnea. Finally, we offer full audiological services including balance testing and hearing aid dispensing. 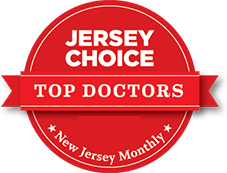 As a practice affiliated with Hackensack Meridian Health Medical Group and Hackensack Meridian Health, we have proudly served Ocean and Monmouth Counties for over 30 years with a passion for excellence and a commitment to teamwork.